The most recent picture of Mayley!! 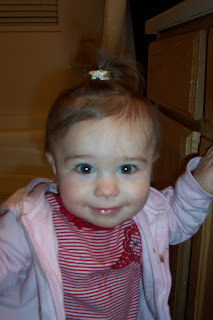 I just started pulling her hair back in elastic bands and cute little butterfly clips! Her hair is soooo long its always in her face!! She is a babe! :) I love how cute she is!